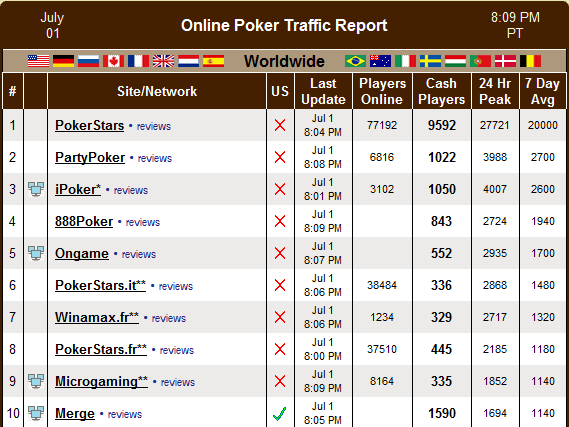 PokerScout reports online traffic, including ranking the industry leaders as well as a host of other useful features. Find pros who are playing now, look for games, and check to see how you favorite site is doing. PokerScout is currently the only player in the market they cover, since no one else is reporting traffic for online poker. They also offer useful features like the "Star Finder," which allows you to look for your favorite pros and watch them (or join them at the tables if you dare) when they are online.